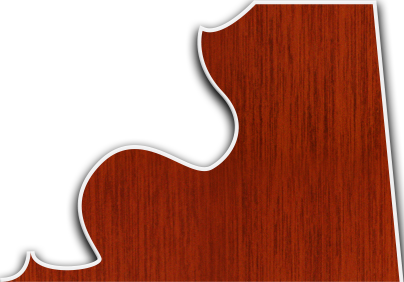 ..our store in Colesville, Maryland and ask about our custom haircuts! We'll make sure to leave you looking fresh and ready to impress. 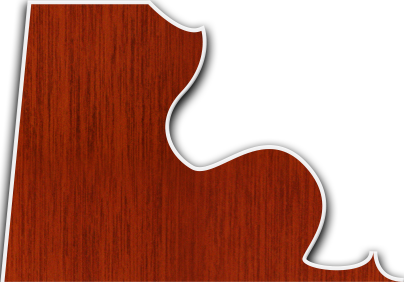 We service the Colesville, Aspen Hill, Wheaton, White Oak, and surrounding Silver Spring areas, offering haircuts and shaves in a wide variety of styles. 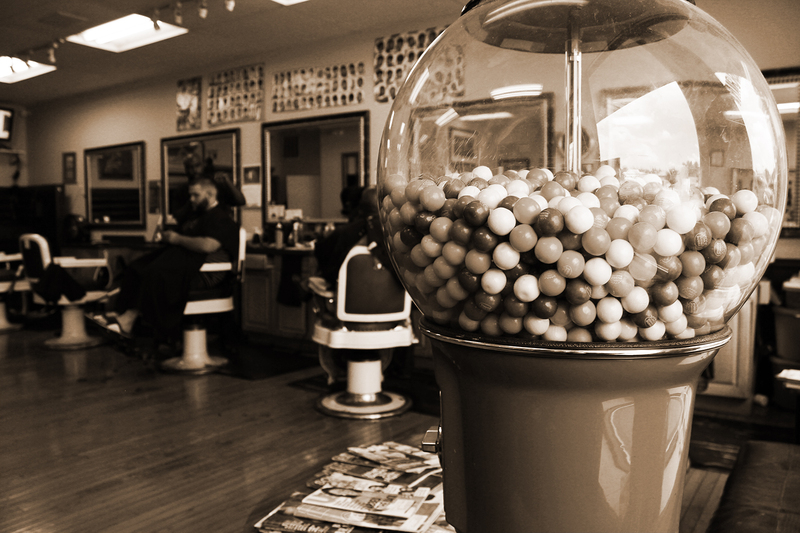 Our barbers are professionally trained, and are hand-picked by our master-barber Chris Sheppard. We take great care and pride in our work, and can guarantee you an enthusiastic and interesting journey towards the haircut of your dreams. 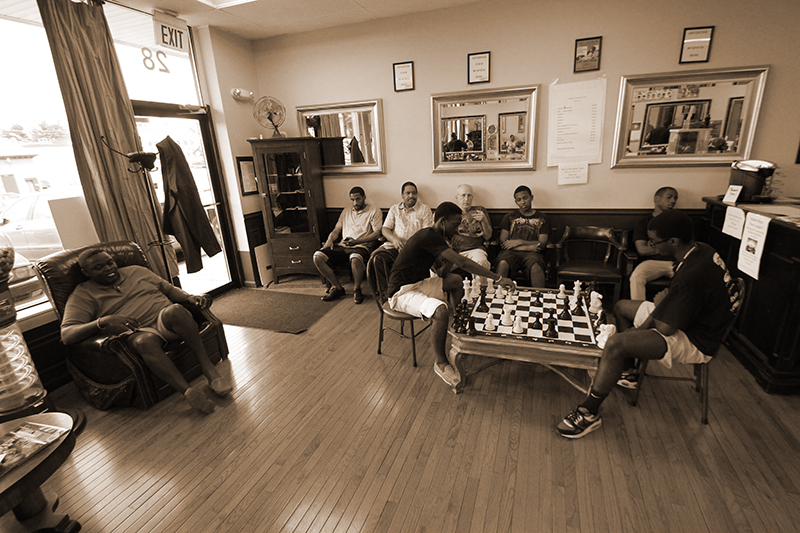 In addition to a dedication to professionalism, we are a family-oriented barber salon - Many of our clients come in with their kids, and join in our community chess tournaments. 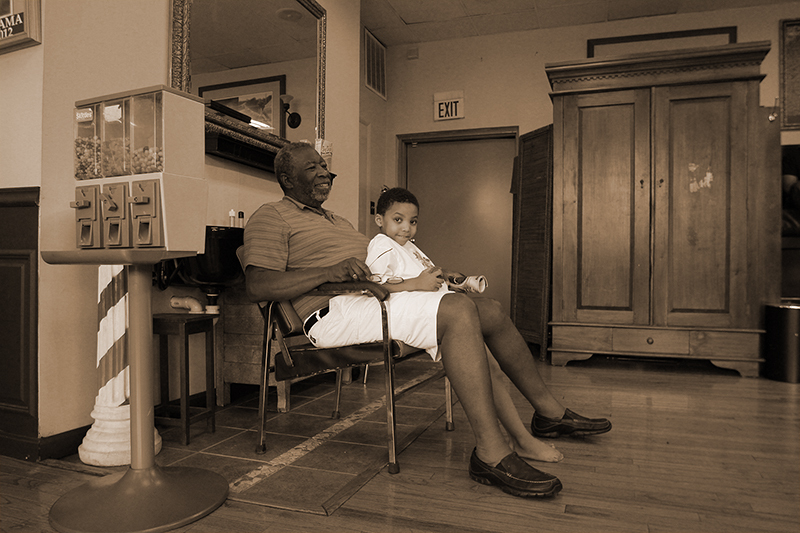 Our barber salon is family oriented and perfect for kids! 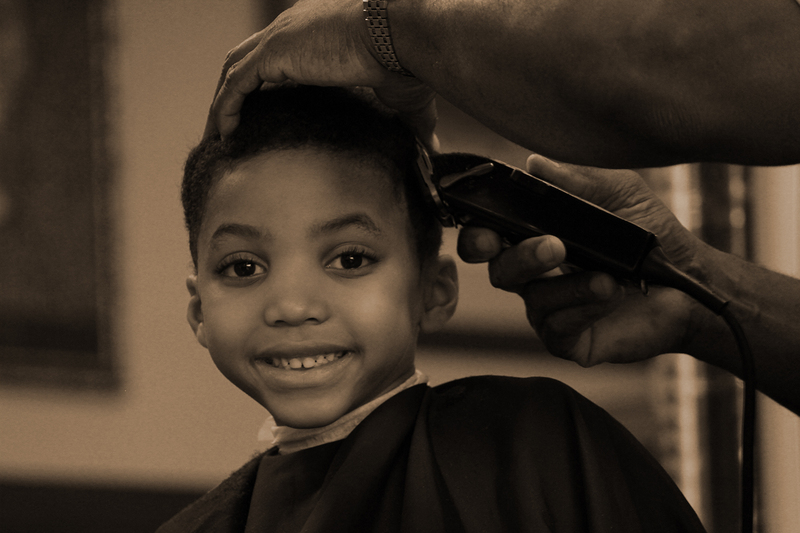 Whether you need a professional cut or a haircut for your childen, rest assured that Mirrors Barber Salon can accomadate you. If you would rather make your appointment in person just head on over to our salon in Colesville, Silver Spring and we'll tell you everything you need to know about a Custom Haircut with Mirrors. 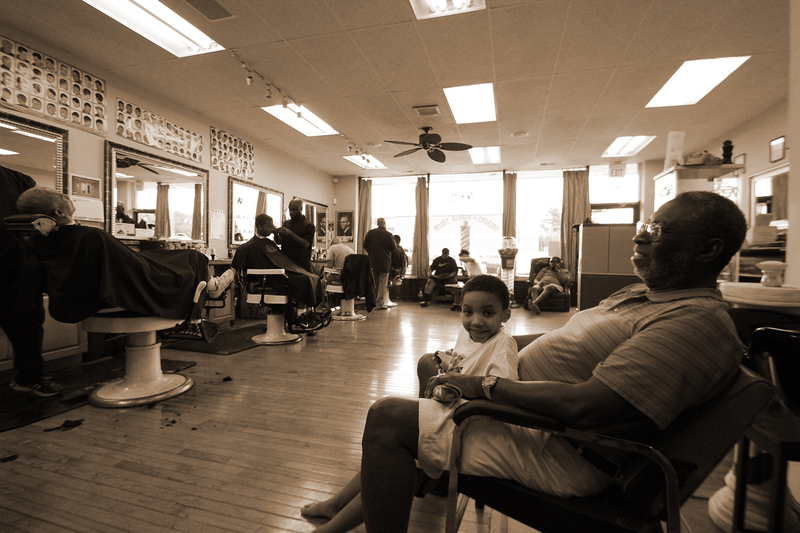 Reseve an appointment online or at our barber salon in Colesville, Silver Spring today! "I went here today and had the owner Chris cut my hair and give me my first straight razor shave. Chris was great, very personable and professional. I'm pretty sure I was one of their few white clients that day (or ever) and have a different style of haircut than they usually cut. Chris didnt blink an eye and encouraged feedback during the cut. I had him go back a few times and do more trimming (better than the alternative). Perhaps my favorite part is that he really takes his time. This may have been a little frustrating for his other customers waiting but they will eventually enjoy it themselves. He took his time with my shave too, which was very nice." "I stopped in on the spur of the moment mid-Tuesday morning on the way to a business meeting in DC. Three barbers, no customers, no waiting. 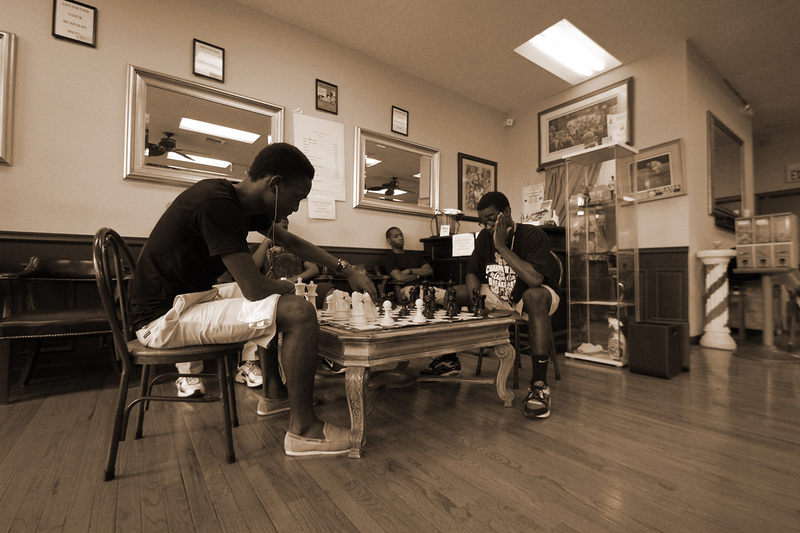 Loved the old-timey feel of the salon and the giant chess board. I didn't get a chance to meet Chris, but Darell, an Army vet and recent barber school grad, gave me the most careful haircut I've had in years, accompanied by an interesting chat about the area and his experiences overseas. I feel like I got a fine haircut and passed a very pleasant half hour or so in a traditional salon. Couldn't have asked for more. Give it a try."